It’s so easy with Zestio! 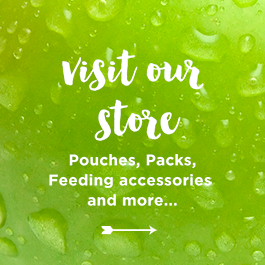 Much like cleaning your baby bottles and bits and pieces, cleaning reusable pouches are the same. We recommend cleaning Reusable Pouches, Zesty Pops and Pouch Toppers by hand with a bottle brush in warm soapy water. The portable OXO Tot bottle Brush and drying rack pictured is just perfect for this. 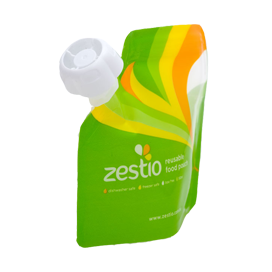 The Zestio Reusable Food Pouch has an anti-leak water tight zip lock seal at the top which opens to allow for easy filling and cleaning. It also has a clear base so you can see through the pouch, ensuring a thorough clean every time. Insert your pouch, pop or topper into soapy water. 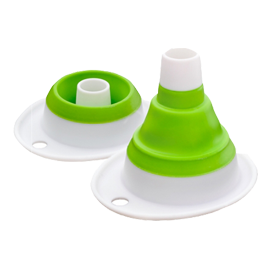 Use your bottle & teat brush to clean. Leave on the drying rack to dry or refill with food and freeze. 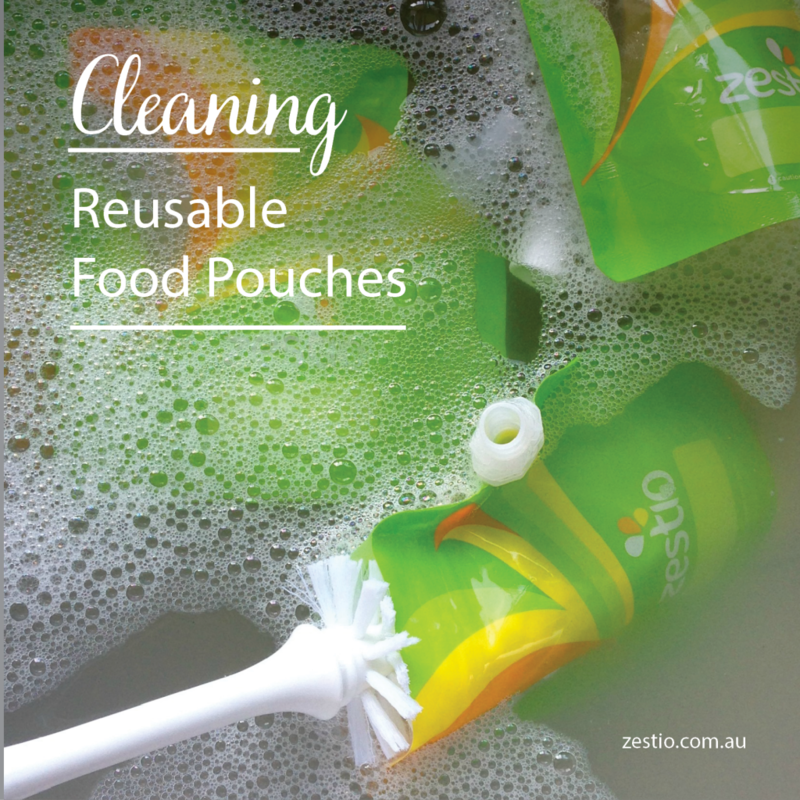 Yes, the Zestio Reusable Food Pouch, Zesty Pops & Zestio Pouch Topper are all dishwasher safe. However, we recommend cleaning reusable pouches by hand washing, as the dishwasher will decrease the life of your pouch. 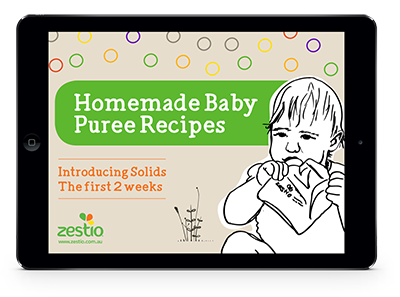 If hand washing your pouches you’ll get up to 50 uses from each pouch. How great is that! Imagine the $ you’ll save. 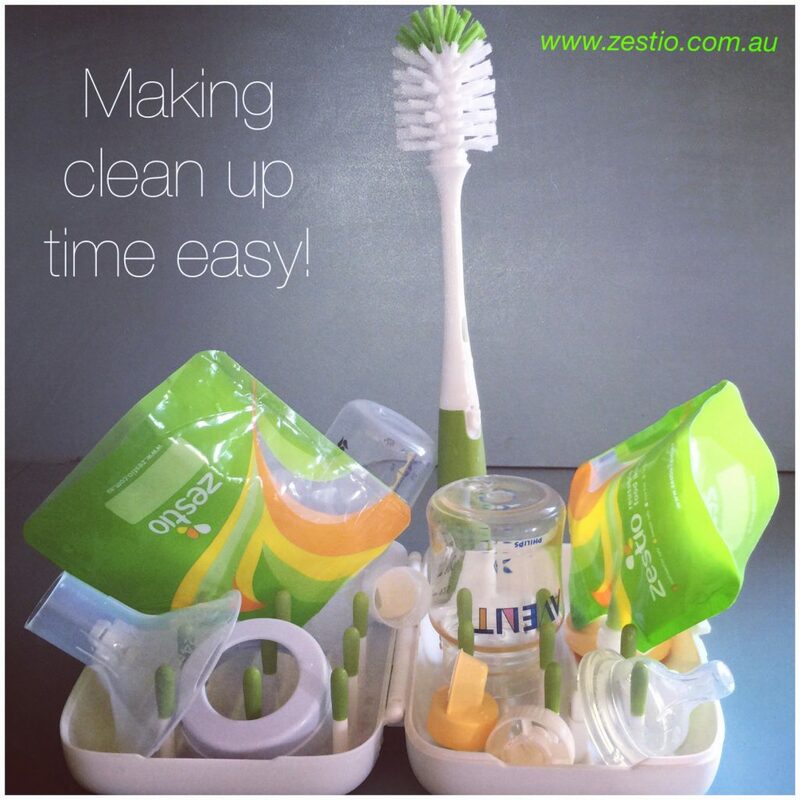 Clean the Zestio Reusable Food Pouch thoroughly prior to and as soon as possible after every use. 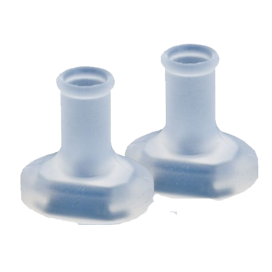 Before each use, inspect the product and replace when worn or damaged. 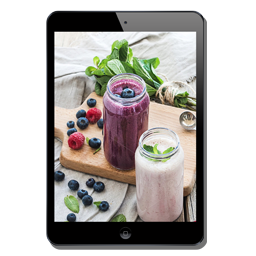 Always practise good food safety and hygiene habits.